Looked at the pictures again. I really don't like the 4"x 4". Especially the ones in the back, at an angle like that. I understand wanting to raise it up, but I think you need a better undercarriage system. How about you try to incorporate the system I posted the link. Build a frame under the box, then drop the whole thing on the ground. Maybe even put sides and a door on the lower frame. Then you could use it for storage of lumber while on the job. Last edited by builditguy; 01-15-2019 at 07:31 AM. If I store 1k lbs of tools, that would be 495 lbs per leg. I'm good with the undercarriage, if there was actually going to be a problem, you'd have some warning signs first. 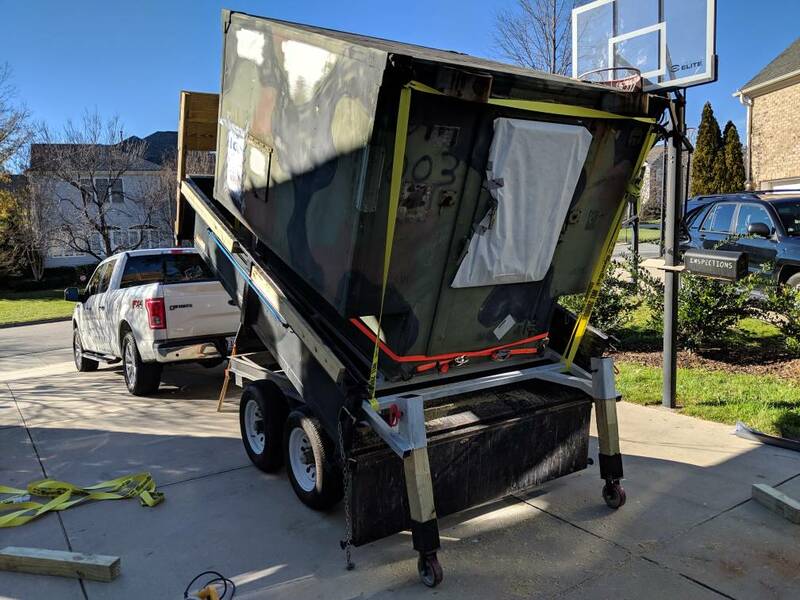 Well, I have had an idea floating around my head involving a mobile shop (everything accessable to outside) that would mount inside my 6x10 dump trailer. 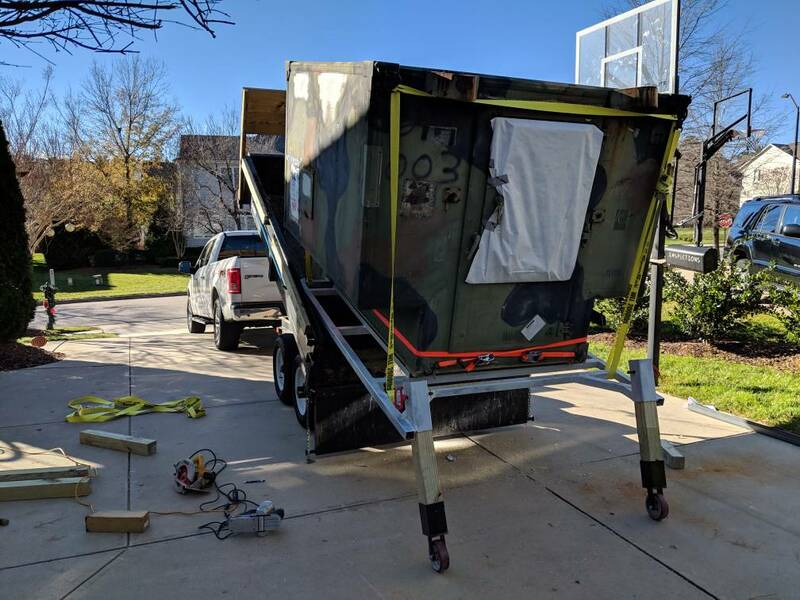 Working concept is that I will roll yo to a jobsite, unload the shop for the crew, immediately have a dump trailer for debris and also have my truck for material runs. 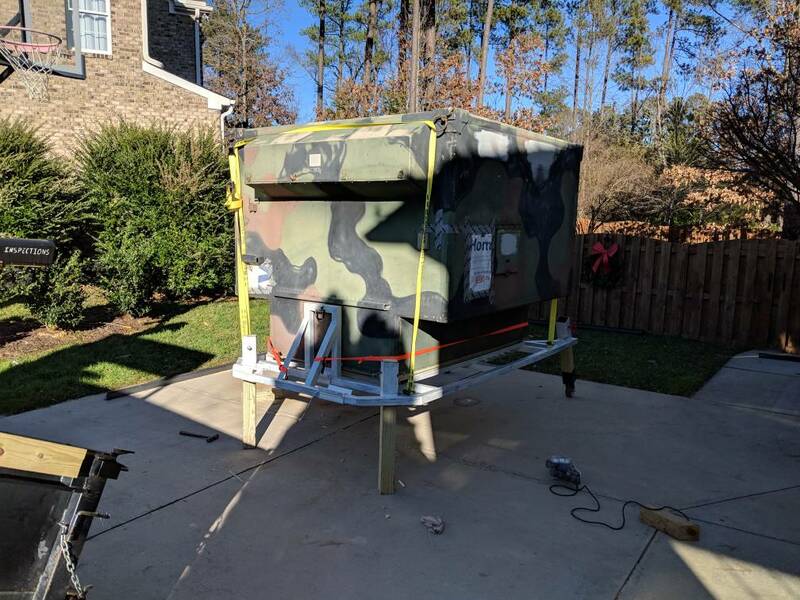 I am basing the design off of a surplus military S250 communications shelter on top of a custom sliding cradle. Here is where I am so far.